M.sc or equivalent degree/B.E./B.Tech/MBBS/B.Pharma/BS-4years/Integrated BS-MS with 55% marks for general and OBC-Non Creamy layer candidates and 50% of SC/ST, Persons with disability (PwD) candidates. Candidates who enrolled for M.Sc or having completed 10+2+3 years of the above qualifying examination, candidates whose result are awaited (RA) are also eligible to apply to the condition that they complete their degree with the requisite percentage of marks within the validity period of two years to avail the fellowship from the effective date of the award. These types of candidates will have to submit the attestation format (Given on reverse of the application form) duly certified by the Head of the Department/Institute from where the candidate appears or has appeared. B. SC (Hons) or equivalent degree holders or students enrolled in Integrated MS-PhD program with at least 55 % marks for general and OBC (Non Creamy Layer) candidates; 50% marks for Sc/ST, persons with disability (PwD) are also eligible. The candidates who acquired only a bachelor’s degree will be eligible for the fellowship only after getting enrolled/registered for PhD/ Integrated PhD program within the validity period i.e. 2 years. The eligibility for lectureship of NET qualified candidates depends on the subject to fulfilling the criteria laid down by UGC. PhD degree holders who have passed Master Degree with minimum 50% marks eligible to apply for Lectureship only. Any candidate may opt any of the above describe centers. No request for the change of the center would be granted, however, request in writing may entertain on the merits. If at any center the numbers of appearing candidates are not sufficient, then that particular center may be deleted or any other nearest center will be allotted to the candidate at the discretion of CSIR. No TA/ DA will be allotted to any candidate for attending the exam in any manner. Part A: This is common to all subjects. 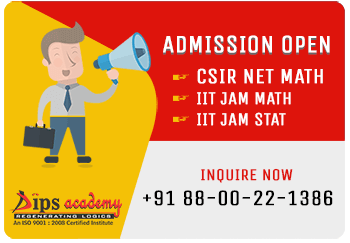 This part contains questions related to General Aptitude with emphasis on logical reasoning, graphical analysis, numerical ability, quantitative comparison, puzzles, series formation and analytics etc. Part C: This is the trickiest part of paper which contains the High Value Question which is designed to test the knowledge on Scientific Concept of the candidates. The questions are analytical in nature where it is necessary for the candidate to apply their scientific logic to reach the solution of the given Scientific Problem. Negative marking for wrong answers, wherever required, shall be applicable as per subject wise scheme of the exam. If in any case, question found to be wrong, benefit of marks will be given to only those candidates who attempt the question. No representation of answer key(s) after declaration of result will be entertained.